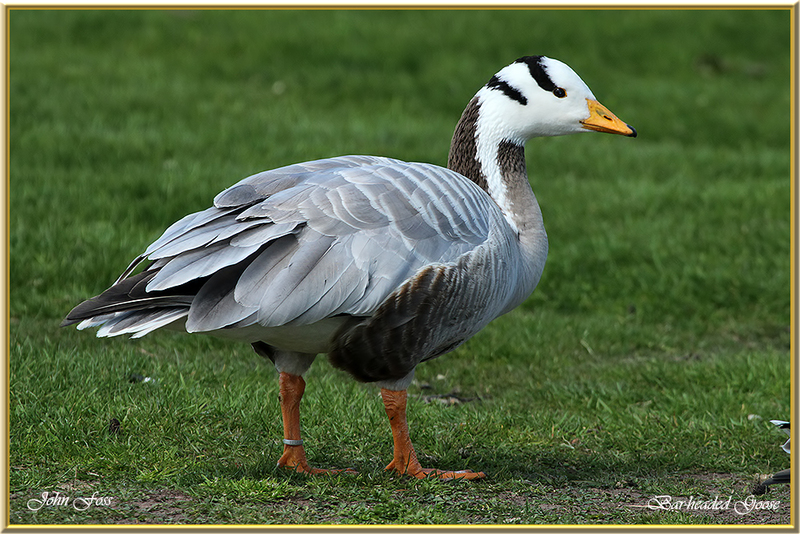 Bar-headed Goose - One of the worlds highest flying birds. 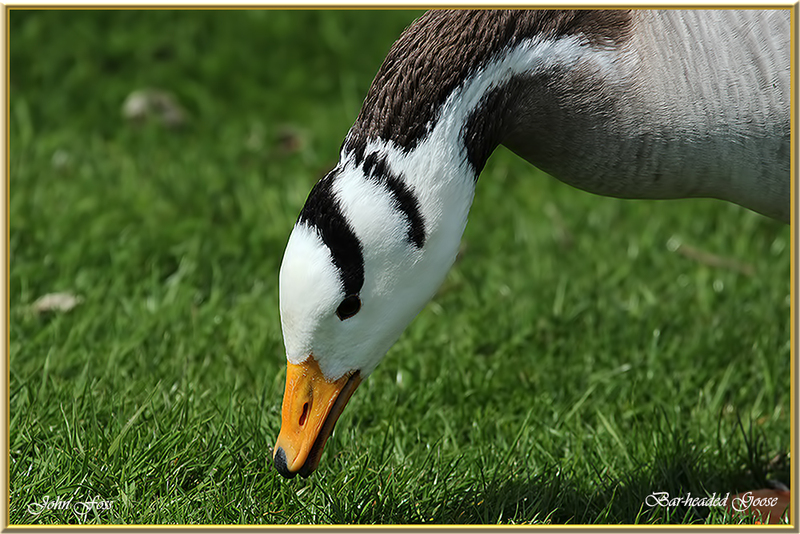 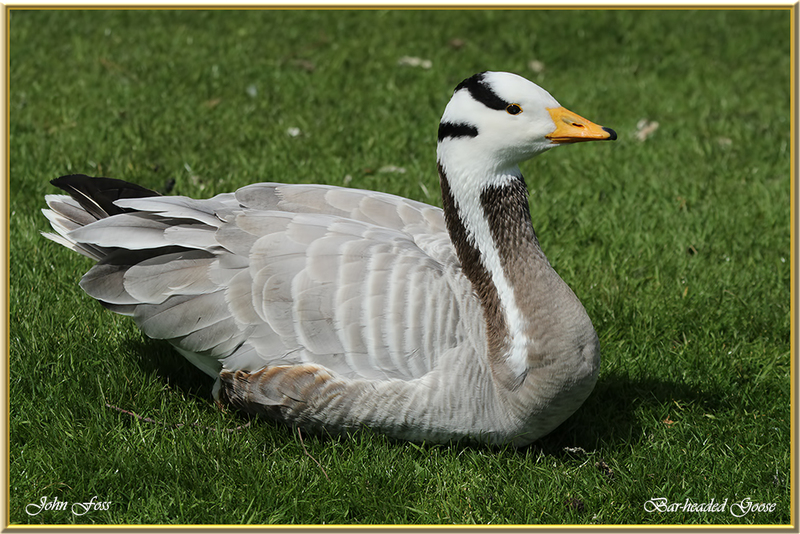 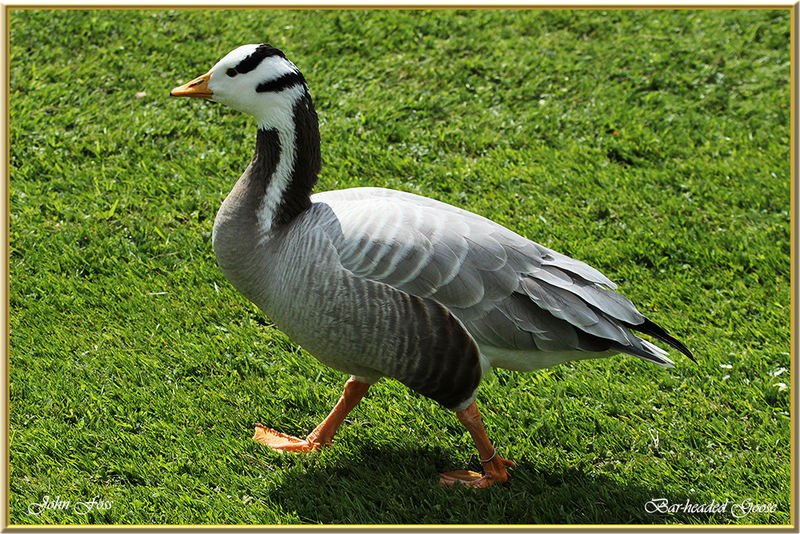 They have been reported flying over Mount Everest at around 29,000 ft. A native goose of Asia. 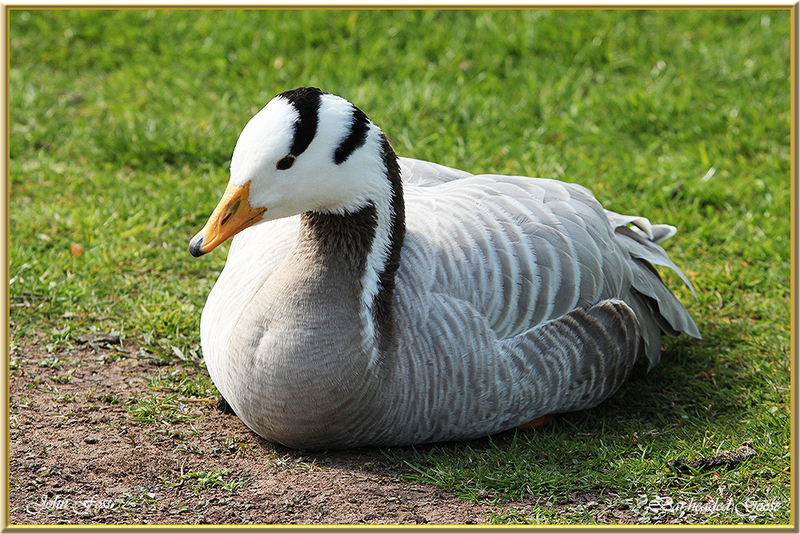 I came across this park bird at a reserve in Staffordshire England.